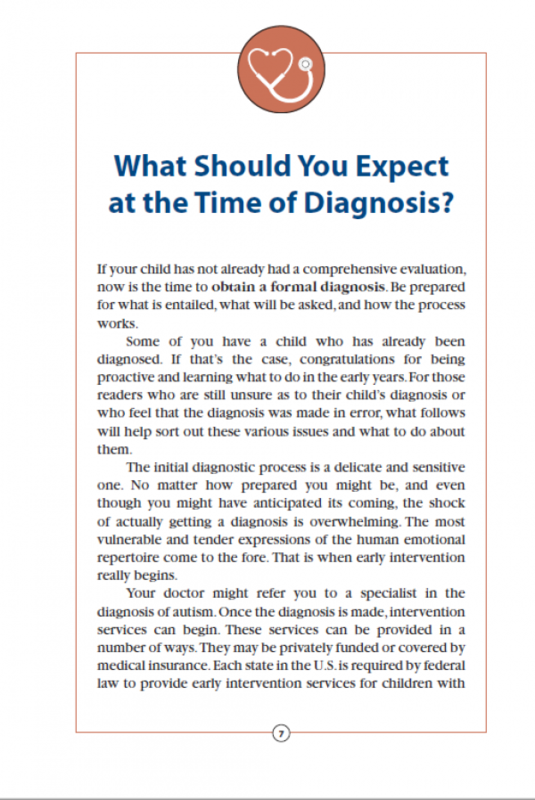 Parents who find out their child might have autism are overwhelmed with doctors, therapists, and information all at once. 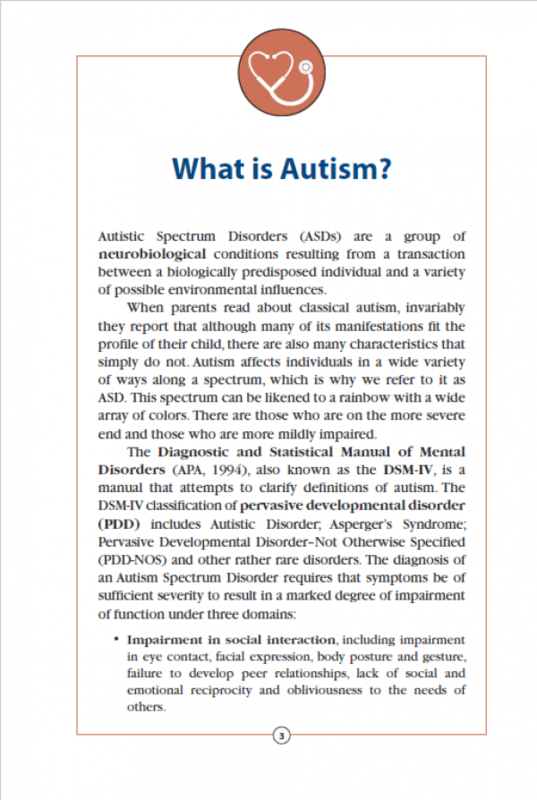 It can be difficult for these parents to find the answers they need in a sea of resources, especially for a parent who is not familiar with autism terminology and treatments. Who is involved in my child’s evaluation? What should I expect at the time of diagnosis? What are the goals of early intervention? 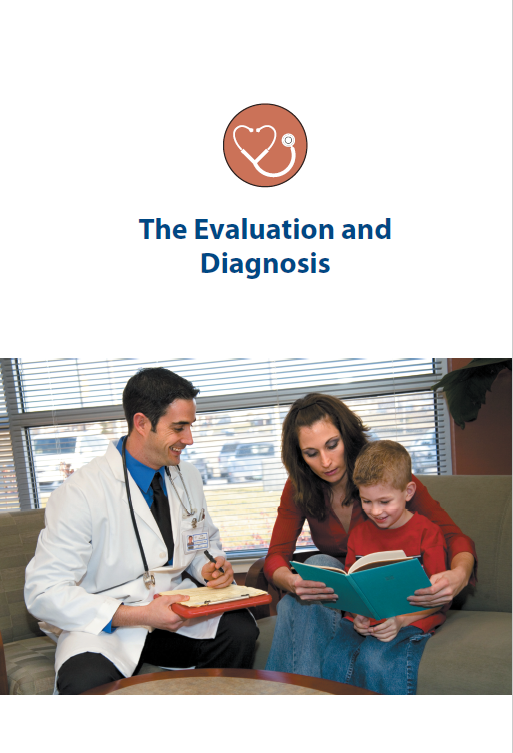 How do I choose which treatments are right for my child? 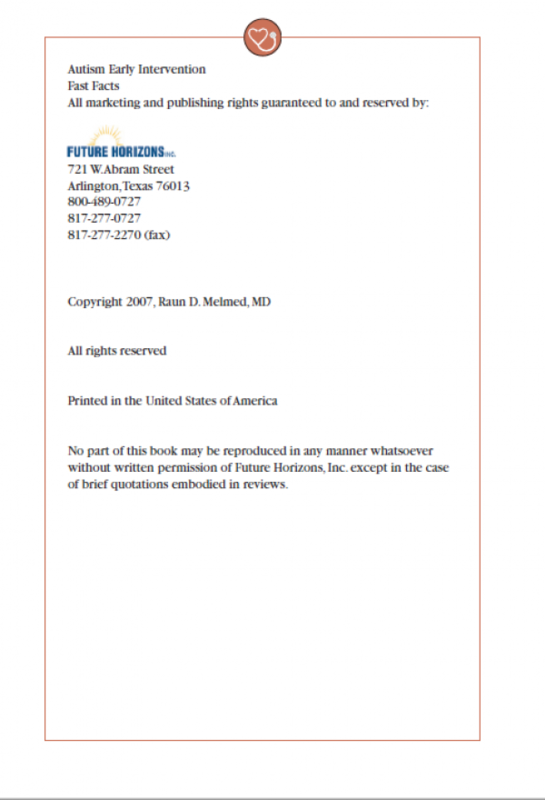 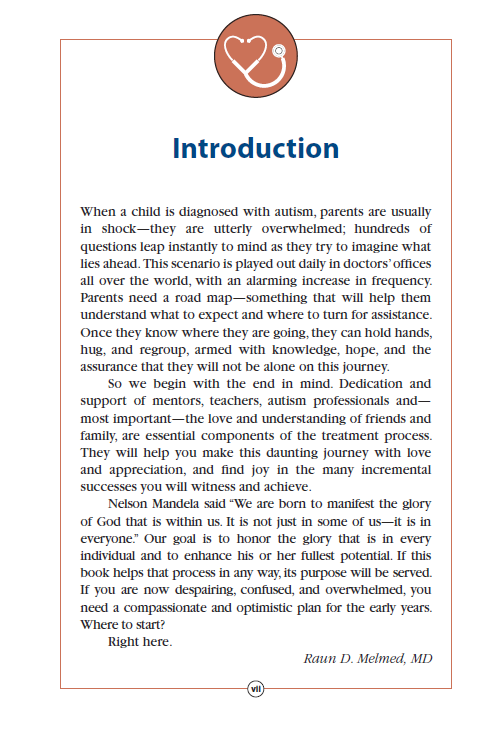 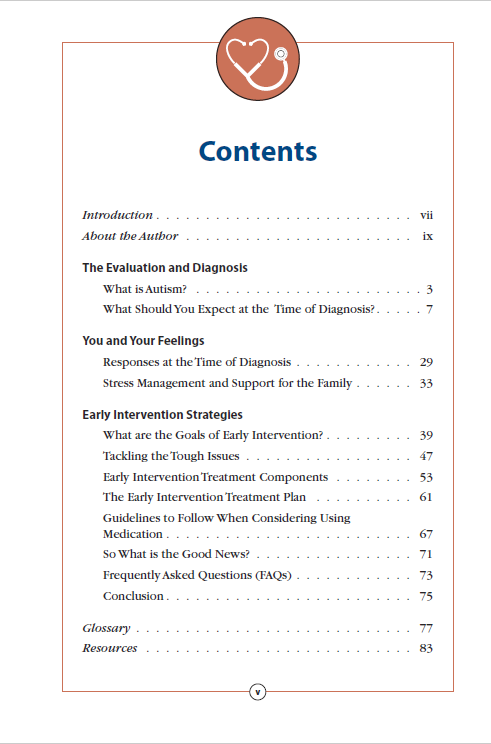 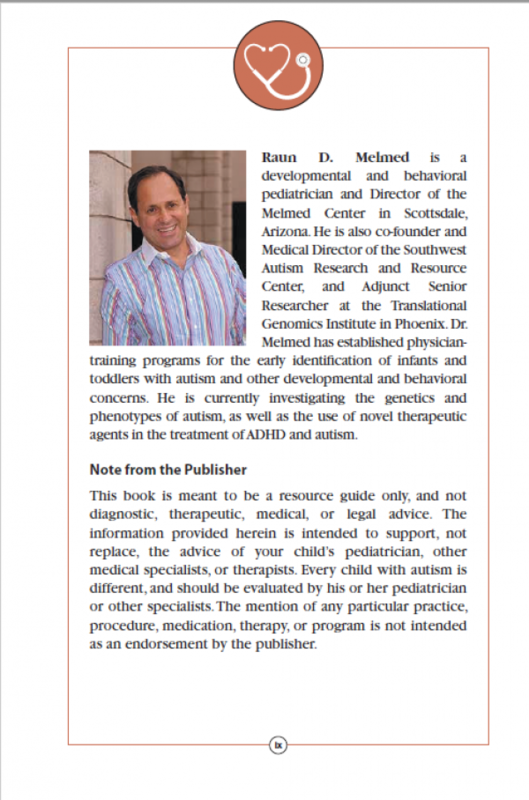 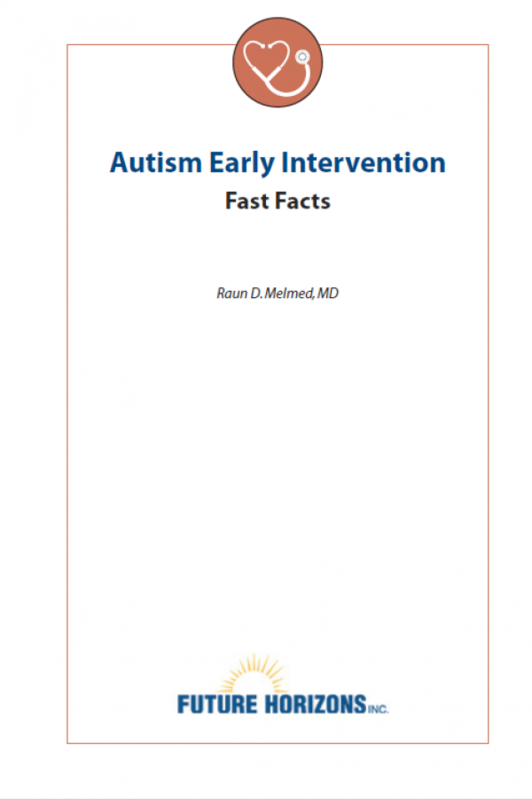 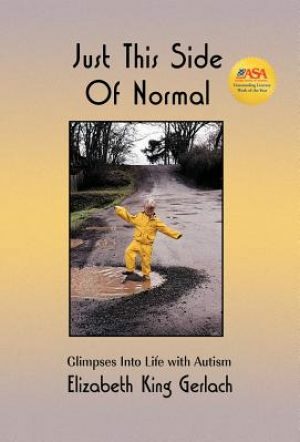 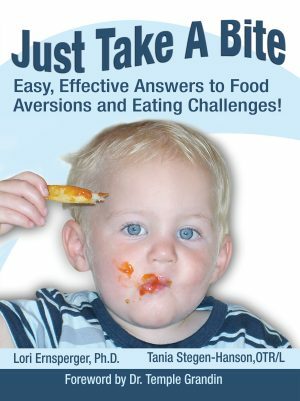 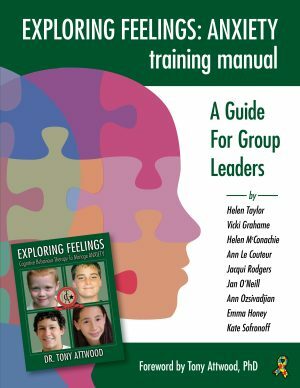 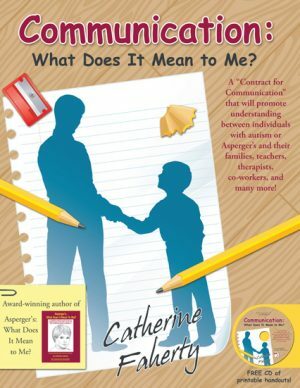 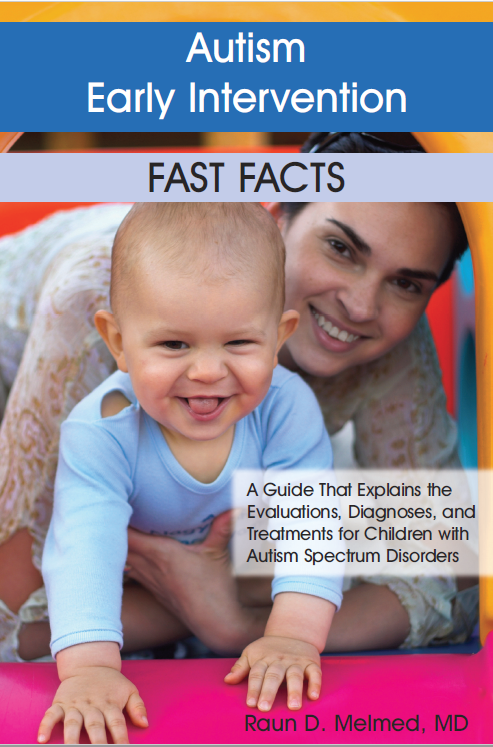 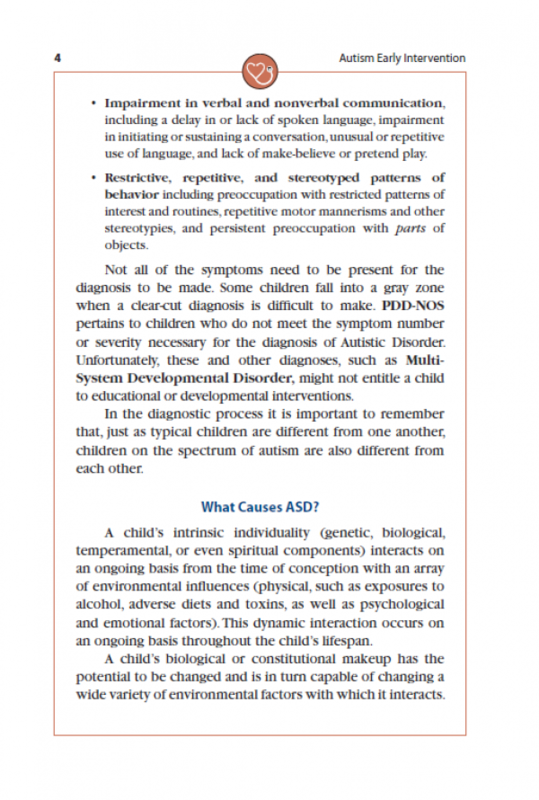 In addition to Dr. Melmed’s compassionate yet practical advice, this book offers easy-to-read charts, a glossary of autism terms, and a comprehensive, annotated list of resources.